These days us hungry humans have less less time to prepare and create delicious homemade meals, and as a consequence lots of families rely on meals such as, ready meals, pasta or salads. Basically anything that is quick and easy to prepare. The problem is that most ready meals are packed with salt, artificial additives and preservatives. They are not fresh, exciting or have any homemade flavour. 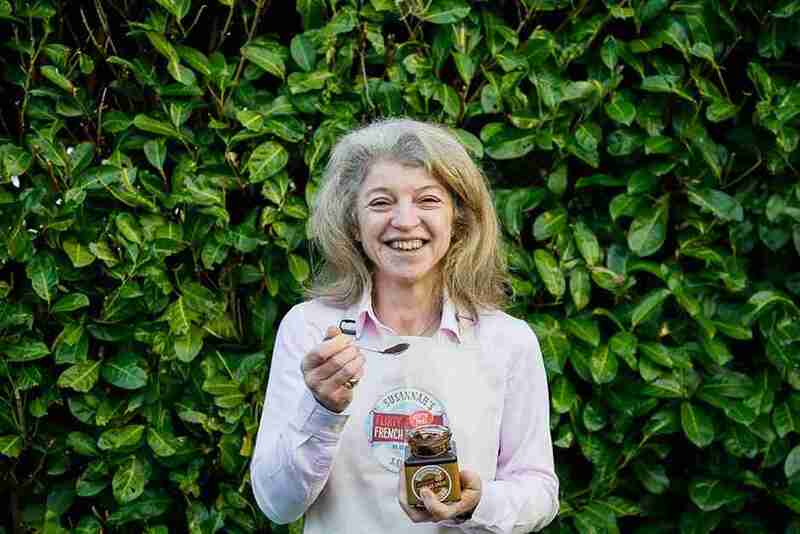 But fear not, as I do believe I have the perfect solution… *Drum Roll Please* … Susannah’s Sauces!! 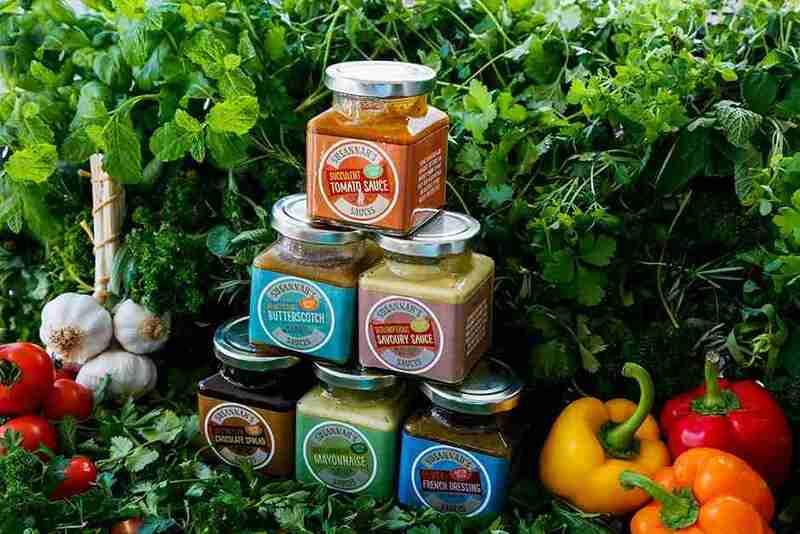 Susanna’s sauces are gluten free, low in salt and free of artificial additives and preservatives. They are all homemade, fresh and taste absolutely divine! 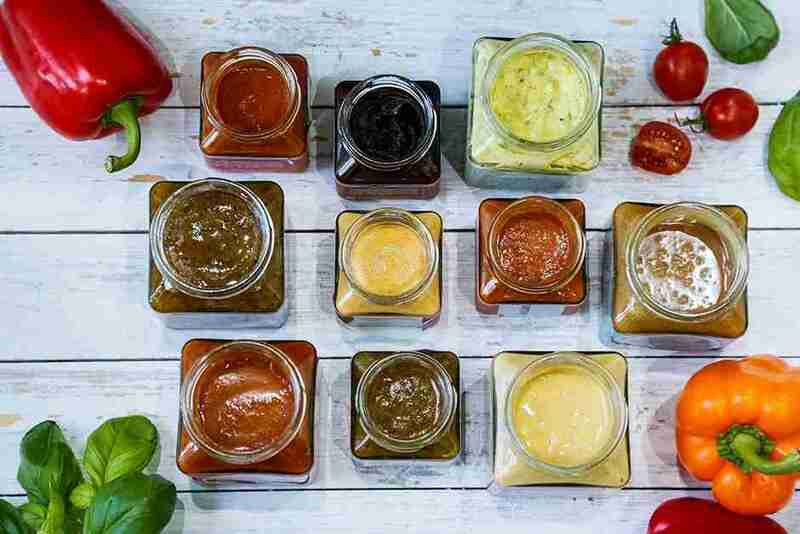 These little jars of joy are all designed to make standard every day meals truly delicious. 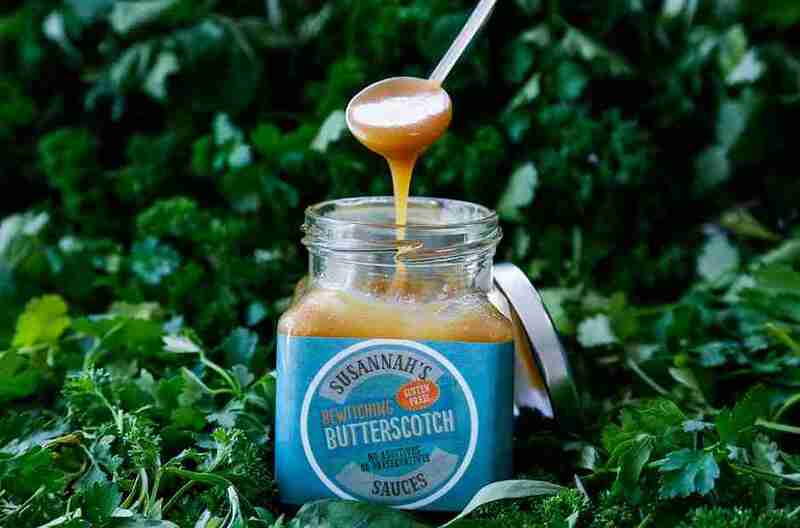 I am not just saying this because Susannah is a very lovely client of mine, I am saying this because I have tried and tasted every single one of her epic sauces, and wow, you need these sauces in your life! 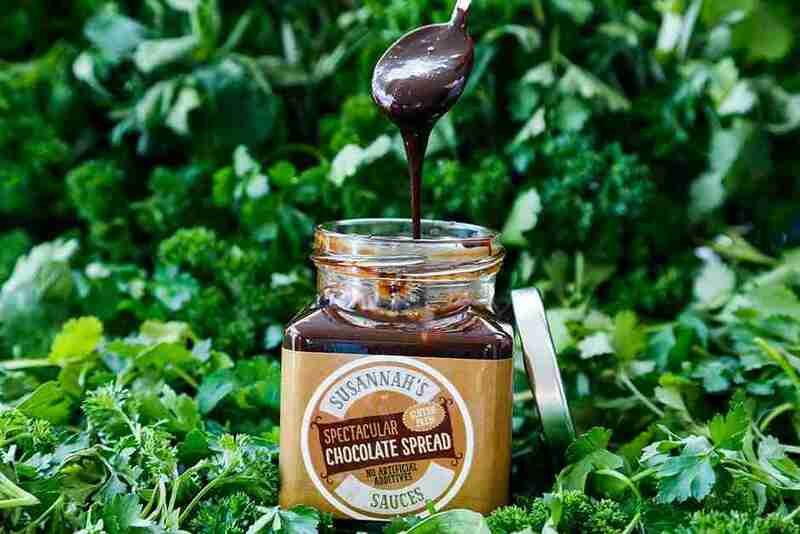 The Spectacular Chocolate Spread, is simply to die for. My favourite is pineapple dipped in it. Or you can use it on toast, crumpets, hot cross buns, ice cream, pancakes, and other fruit. Or even try two teaspoons stirred into hot milk to make a wonderful hot chocolate. 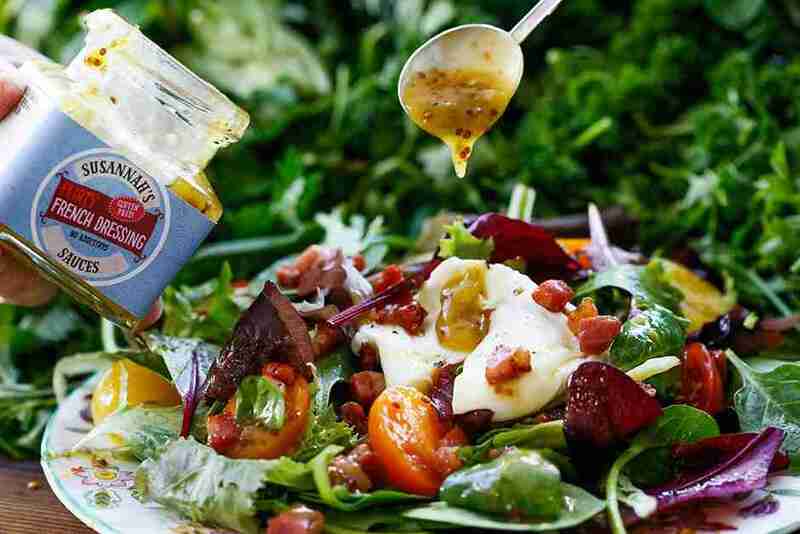 The Flirty French Dressing – such a delicious flavour this one! It really makes an average salad and epic salad. Also great on baked potatoes, cold meat and roast lamb. Also a little birdie, (she may have been called Susannah!) told me when cooking chicken or sausages in the oven spoon some Flirty French Dressing over them for the last ten minutes and they will be totally transformed. Scrumptious Savoury – Wow – I think this sauce is my favourite! It is absolutely delicious with steak! But also stirred into pasta and even as a fantastic dip with breadsticks and crudités. Basically anything this sauce touches taste like heaven! Tasty Tarragon Mayonnaise – Use this mayonnaise to make a really scrummy egg mayonnaise sandwich. It is also delicious when stirred into cold poached chicken with grapes and watercress. Or you can even use it instead of a béarnaise sauce with salmon and other fish. 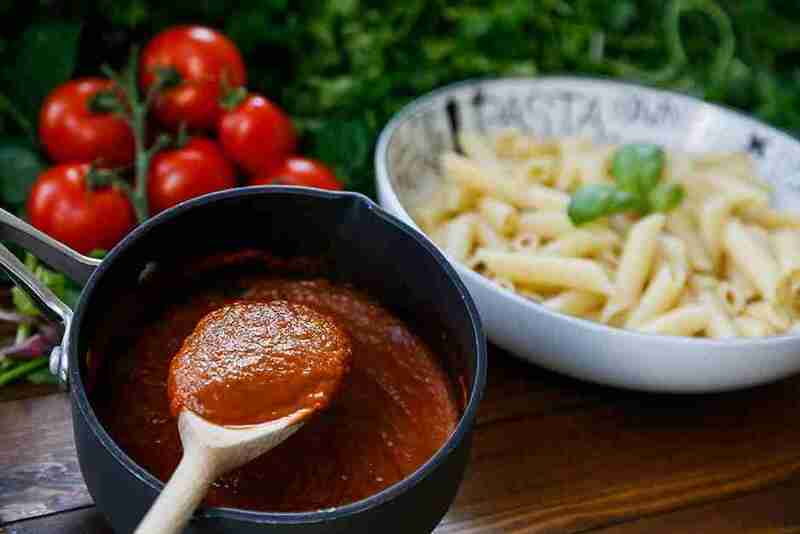 Succulent Tomato Sauce – Great in pasta, as a base for pizzas, or even instead of tomato ketchup. Also delightful with baked potatoes and cheese or with cheese on toast. Bewitching Butterscotch – My favourite is definitely with popcorn! But also amazing with porridge and crumpets. You can also stir it into crumbles, lemon meringue and as the toffee for a sticky toffee pudding or banoffee pie. They are all just totally delicious and I will definitely be ordering more! By just adding a dollop or three of Susannah’s Sauces it has really made a huge difference to my cooking. Also knowing they are healthy makes me even happier! Thank you Susannah for creating such wonderful delicious sauces for my taste buds to indulge.